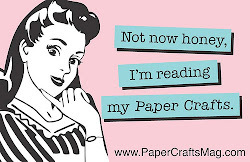 Love those spellbinder dies. This card is so, so sweet! 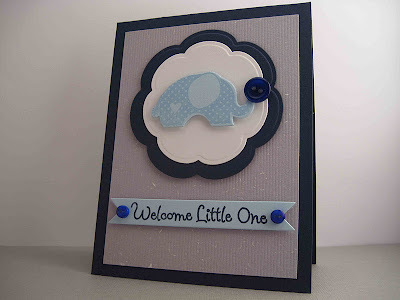 Cool idea to make a baby card from these colors, the grayish blue adds a nice touch. Cute card! I love the sentiment - I have one that says that too, and it's my favourite as well! There's an elephant in the room - and, is he ever perfect! What an adorable card for a new little soul. You rock! Awe, sooooooo darling. Love the little buttons. This is a really cute baby card - do like the ellie! Totally adorable Jen! Love the cute little button with the elephant! Oh my gosh, this is A-DORABLE! What a darling baby card and you used the colors so amazingly well! I just tried emailing you, but you have a no-reply! :-( Here is what I was sending..
Have a great night!....off to see what you have been up to! Wow! Jen this is adorable!!! Love your take on the challenge! Thank you for playing with us at lilypad cards.